Northern Virginia is in the middle of a metamorphosis. 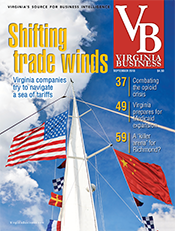 “The region is moving from being a company town to becoming a global business center,” says Stephen S. Fuller, director of George Mason University’s Center for Regional Analysis. The move, he says, is not really an optional change. 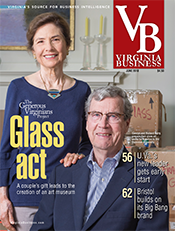 If Northern Virginia hopes to maintain its enviable perch at the top of almost every measure of local success, the metamorphosis is a must. 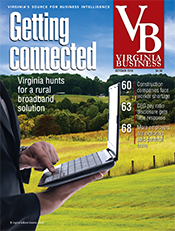 Sequestration was a brutal lesson for NoVa about the dangers of depending too heavily on the federal government as a driver of the local economy. In the past five years, cuts in federal spending have meant the loss of 9,000 federal jobs in the region — jobs that no one seriously expects to get back. Gone, too, with sequestration, is $9 billion in federal contracts, with the predicable effect of many government contractors having to downsize or go out of business. The collateral damage has been office vacancies stuck at all-time high rates and a stagnant employment market. 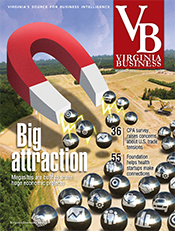 Office vacancy rates in the Washington area rose from 14.6 percent in the last quarter of 2014 to 15 percent in the first quarter this year, according to Costar, the commercial real estate research firm. Southeast Fairfax County had the worst vacancy rate in the region, a whopping 37.5 percent. These rates, in part, reflect a new reality in the commercial real estate market: Many businesses are reducing their footprint by using space-reduction measures such as bench seating and hoteling and allowing their employees to work remotely. A Bureau of Labor Statistics study in 2013-14 shows the depth of the employment problem. It found that the Washington region as a whole ranked 14th out of the nation’s 15 largest metropolitan areas for job growth during that period — worse even than Detroit. And, Fuller says, the jobs that NoVa has been adding, which have kept its unemployment numbers in the 4 percent range, are mostly in food services, hospitality and retail, and they pay far less than the jobs that have vanished. Obviously, the past few years haven’t been the best of times for a region used to years of ever-increasing prosperity, but business leaders believe that their recent pain can be turned into eventual gain. Northern Virginia has the necessary positives in place to allow it to transform itself into an international business center: top-notch schools, a highly educated and enviably wealthy populace, and a sophisticated and expanding transportation network, including Metro’s Silver line. Redirecting those resources will just take patience and planning. 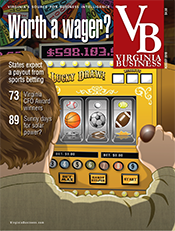 The economist’s best guess on when Northern Virginia once again will outpace the national economy? 2018. But the overall picture already is brightening, if slowly. 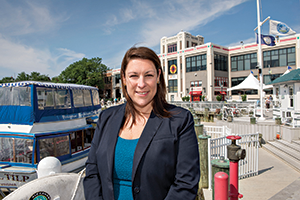 In Alexandria, Stephanie Landrum, president and CEO of the Alexandria Economic Development Partnership, predicts this year will be better than last year. Applications to build have increased along with the volume of leasing, she says, and the office vacancy rate has dropped at least a little, from 17.3 percent last year to 16.2 percent in the first quarter of 2015. The city’s three major markets, Old Town, Carlyle and Potomac Yard, are all logging promising activity. In Old Town, where the office vacancy rate is only 10 percent, three waterfront projects are underway. The Hotel Indigo should open in the summer of 2016; work on the mostly residential development at Robinson South is expected to begin this fall; and the residential and retail Robinson North project is slated to get underway next year with delivery the following year. Residential development around all four of Alexandria’s Metro stations is strong, Landrum says, but especially at Potomac Yard, which is slated to get a Metro station in 2018. The station on the Blue and Yellow lines will be funded with $50 million from the Northern Virginia Transportation Authority and $50 million from a developer. The remaining $140 million will be generated by a special tax district surrounding the station. Alexandria projects that — once it is built out with a mix of residential, commercial and retail space — the area will produce $98 million in annual revenue for the city. Unfortunately, that new world includes about 4 million square feet of empty office space, much of it in Crystal City, where the vacancy rate remains at an uncomfortable 21 percent for Class A space, according to Costar. Still, Winn is bullish about the transformation of the high-rise neighborhood into an innovative technology hub, and activity does seem to be picking up there. In April, the D.C.-based business incubator 1776 announced it was acquiring Disruption Corp., an asset management and financial services firm, and expanding into Crystal City. It joins Eastern Foundry, an incubator for small government contractors; LiftOff Health, which focuses on identifying and fostering ideas for innovation in health care; TechShop, which helps entrepreneurs with 3-D printing; and the Crystal Tech Fund, a co-working space for startups. Another co-working space company, WeWork, is partnering with the biggest landlord in Crystal City, Vornado Realty Trust, to turn an empty office building into micro apartments and retail space. The WeLive concept will target millennials by creating two-floor “neighborhoods” with shared common space and amenities. “We have the highest concentration of millennials in the region,” Winn says. Lidl, a Germany-based discount supermarket chain, announced in June plans to spend $77 million in creating a U.S. headquarters in Arlington where it will employ 500 people. The company also will create a $125 million regional headquarters and distribution center in Spotsylvania County, employing 200. In Arlington’s Rosslyn area, the business advisory company CEB will help anchor a new 31-story office building expected to open in 2018. CEB will add 800 employees to the 1,200 it already has in Arlington. A TargetExpress store will open in the same neighborhood this fall. Still, Costar reports that the office vacancy rate in the Rossyln-Ballston corridor is little better than in Crystal City — about 20 percent in the first quarter of 2015 for Class A space. One reason is 1812 N. Moore St., a 530,000-square-foot, 35-story office tower. It is still vacant more than a year after completion. Developer Monday Properties built on spec and has yet to find a marquee tenant; it recently refinanced a $140 million construction loan. Of all the NoVa jurisdictions, Fairfax probably was hurt the most by the federal budget cutbacks. “We lost 10 percent of government contracting dollars from the sequestration,” says Gerald L. Gordon, president and chief executive officer of the Fairfax County Economic Development Authority. Costar reports that the county continues to have a painfully high office vacancy rate as a result — 18.9 percent in the first quarter of the year. Gordon doesn’t expect any great changes for 2015. “This year will be pretty flat, maybe creeping up a little,” he says. The county does look forward to a one-time boost of $60 million to $80 million from being the primary host of the World Police and Fire Games, which began on June 23 and will end on July 5. 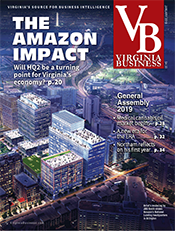 Otherwise, any rise in the county’s fortunes probably will come from the burgeoning businesses of cybersecurity and translational medicine and the ongoing emergence of Tysons Corner as a business center. Especially good news for Fairfax was the recent decision by Inova Health System to buy for $180 million the former Exxon Mobil Corp. campus across the street from its Inova Fairfax hospital. Once Exxon has fully vacated the premises in about a year, Inova will begin renovations to accommodate centers for genomics, cancer research and personalized medicine. In May, Dwight C. Schar, chairman of the home building company NVR, announced that he and his wife, Martha, will donate $50 million to the launch of the cancer research institute there. Eventually, the Merrifield campus may accommodate 3,200 employees. The site has 1.2 million square feet of office and conference space, and two pads there are zoned for another 465,000 square feet of office space, Gordon says. He scoffs at the notion that George Mason University’s plan to dive into personalized medicine at its Prince William campus will represent competition for Inova. He sees “crossovers,” instead. Both institutions also hope to open medical schools eventually. Loudoun County, being farther from Washington, was not hit as hard by the cutbacks as closer-in jurisdictions. “We are in better shape than a year ago, and we are diversifying rapidly,” says Matt Letourneau, a Republican supervisor representing the Dulles District and chair of the board’s economic development committee. The hottest part of Loudoun is the Route 50 corridor, where hundreds of bulldozers can be seen working on housing and retail projects. In a nod to that exploding demographic, HCA will open its 124-bed StoneSprings Hospital Center along Route 50 in December. It will join a medical cluster in that part of the county, which includes a hospice, a rehab hospital and Waltonwood, a memory-care center that will open next year. The county also plans to build a senior center at South Riding in the next couple of years. 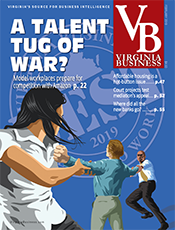 Along the Route 7 corridor, the office vacancy rate was a better-than-average 12.8 percent for Class A space in the first quarter of this year, Costar reports. One Loudoun, a mixed-use development in Ashburn, continues to expand, adding restaurants and retail, even though plans for a minor-league baseball stadium at the site appear dead in the water. And, despite a flurry of press about Gov. Terry McAuliffe wanting to have a Redskins stadium in NoVa, the county’s business leaders say nothing concrete has emerged about any location in Loudoun. 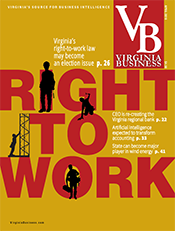 As is true throughout NoVa, office space leasing has been slow, and that caused a rethink by the Peterson Cos., developer of the 205-acre Commonwealth Center office development park near Route 7. By this date, a 65,000-square-foot TopGolf entertainment complex should have opened at the site, and Peterson wants to build an indoor skydiving facility at the center next. A few miles away, high-end rental apartments, restaurants and entertainment facilities are going up around what will be the last stop of the second phase of Metro’s Silver line at Route 772. All this building activity is taking place almost exclusively east of Route 15. 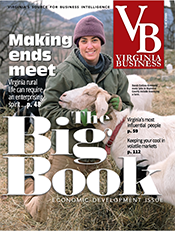 West of that unofficial dividing line, Loudoun’s rural economy is thriving. In 1998, for example, the county had five wineries. It now has 40, and in a nod to Virginia’s up-and-coming reputation as a producer of fine wines, the county will host the national Wine Tourism Conference next year, the first time that gathering has ever been held outside of Napa Valley. 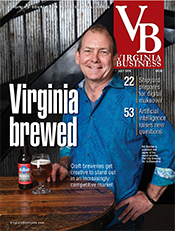 Breweries “are multiplying like rabbits,” as well, say Tony Howard, president of the Loudoun County Chamber of Commerce. Eight are now operating, with more on the way, including Victory Brewing of Philadelphia, which will open a brewpub at the courthouse square project in downtown Leesburg next year. Maryland-based Flying Dog Brewery, however, canceled plans to open Farmworks Brewery in the northern part of the county on the site of a new $1 million hops-processing operation. That facility, called Lucketts Mill & Hopworks, expects to begin operations in October. 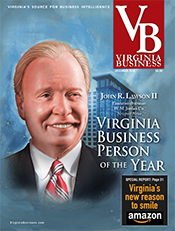 All in all, “it’s hard to complain” about the state of the economy in Loudoun,” Howard says. His statement is accompanied by a caveat, though. In September, he points out, the federal budget will expire without timely action in Washington. That means it could be déjà vu all over again for Northern Virginia with still another sequestration possible.